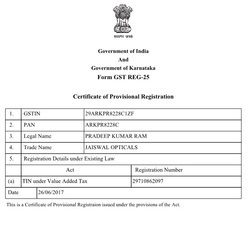 Manufacturing and Trading of Metallic Eyeglass Frames, Eyewear Frames, Eyeglass Metal Frames, Eye Spectacles Frames, Eye Sunglasses, Eyeglass Frames and Polarized Glasses. 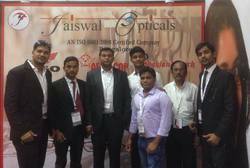 The company has a well-equipped and sound infrastructural facility that covers a vast area and is equipped with latest optical tools and assemblies like opto-mechanical and opto-electronic assembly. In addition, our research and development unit is equipped with world-class 3D software used for designing the products. Our facility has enabled us to achieve maximum possible operational efficiency by streamlining our operations. 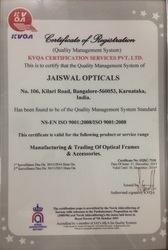 Our qualified and expert quality analysts always strive to maintain high standards of quality for our products. 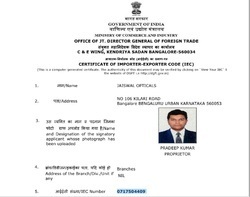 So on, we strictly follow international standards in the manufacture of our offerings. 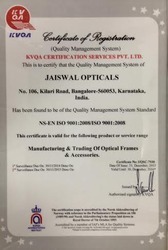 Moreover, to match the industrial quality standards, we stringently test our products on various parameters through our expert quality auditors at every stage from manufacturing to dispatching. For the purpose of maintaining the desired standards, we utilize premium quality materials and sophisticated technology in the manufacture of our products. We are backed by a highly experienced team of professionals, who dedicatedly work to serve to the diverse needs of clients in an efficient manner. Regular training programs are organized to enhance the knowledge and efficiency of our employees. Besides, our experts regularly conduct market research to get an accurate knowledge about the existing market preferences and demands, thereby catering to them accordingly. We have placed ourselves in the list of top-notch organizations by offering products and solutions as per the appropriate demands of client. 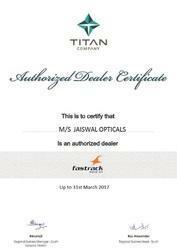 Our products are highly appreciated among clients, therefore found wide application in the market of Indian Subcontinent. 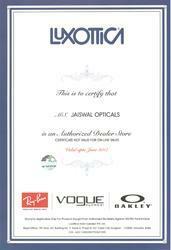 We are LUXOTTICA Certified Company. 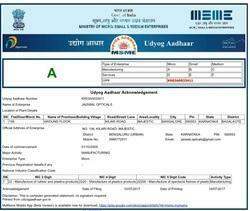 We are FASRTRACK Certified Dealer. 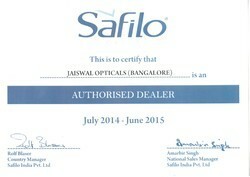 We are SAFILO Certified Companies Member.